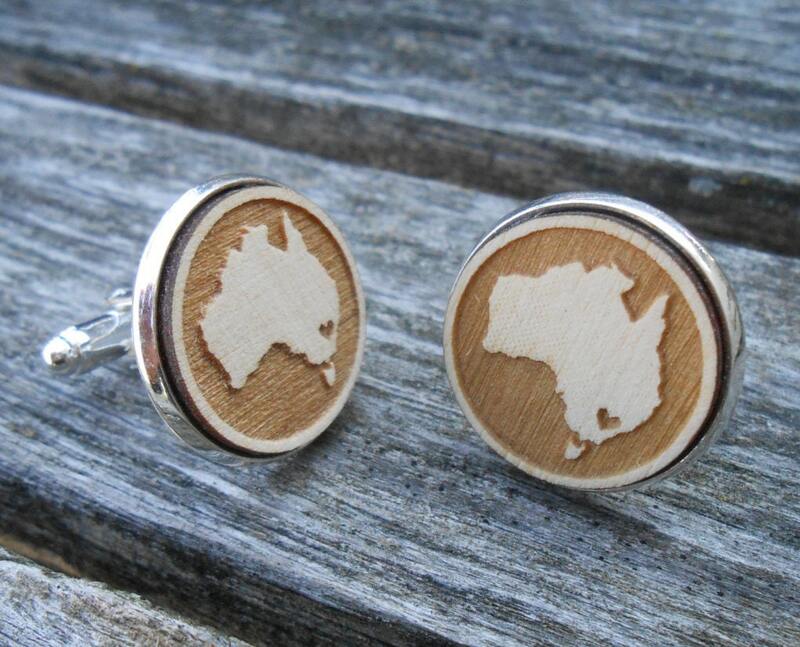 These wood cufflinks are really unique. 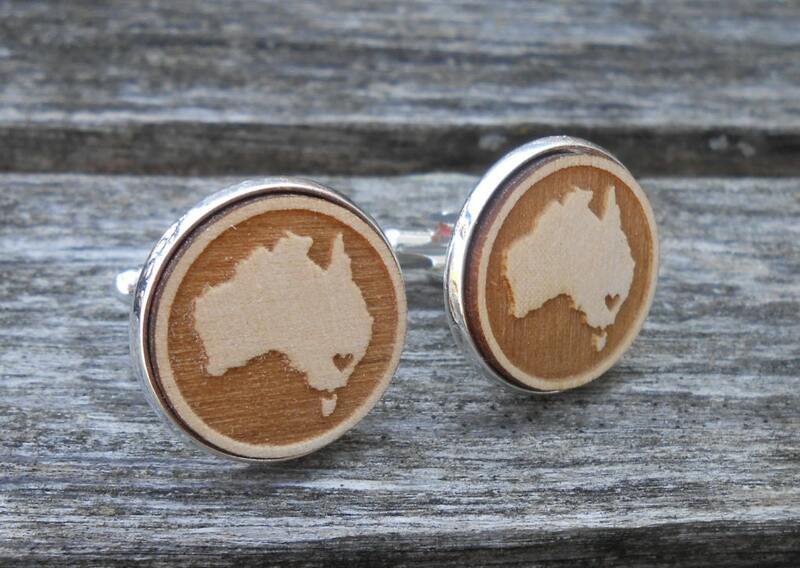 They are engraved with a picture of Australia on them, and have a heart over the city of Sydney. 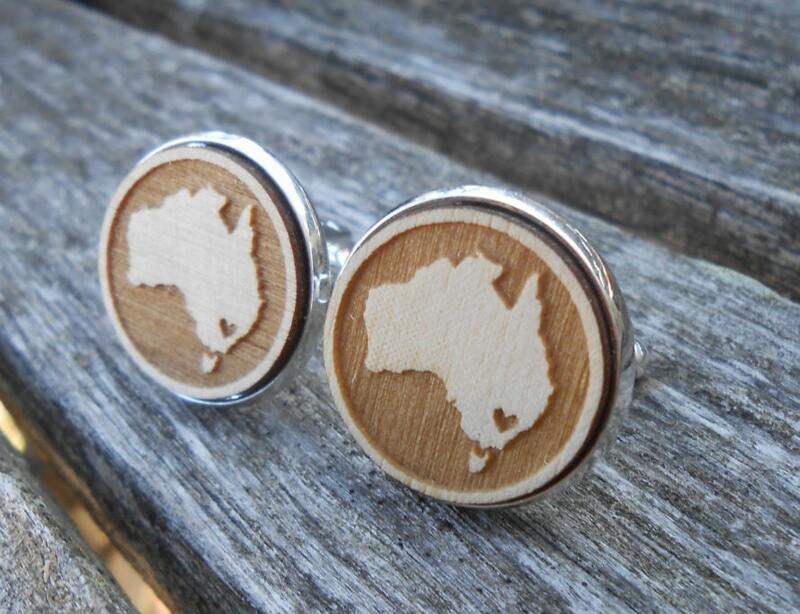 I can put the heart over a different city, if you would like! 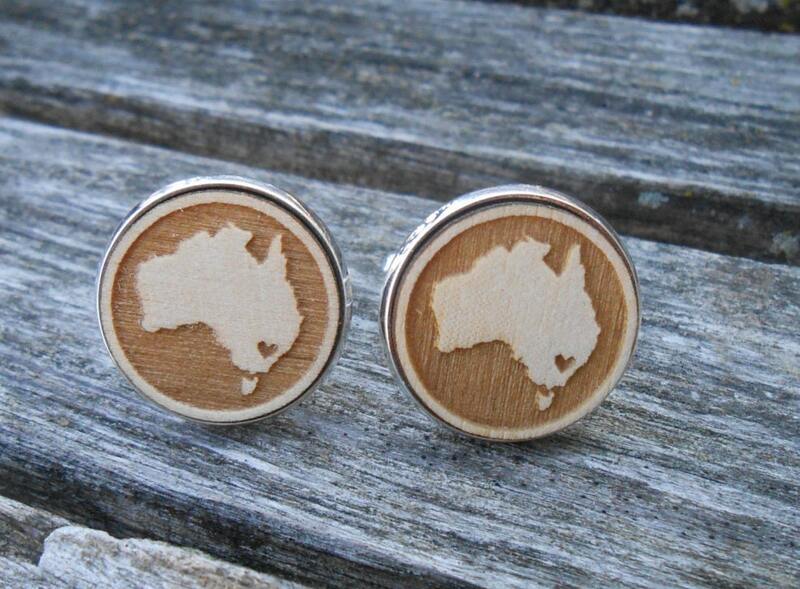 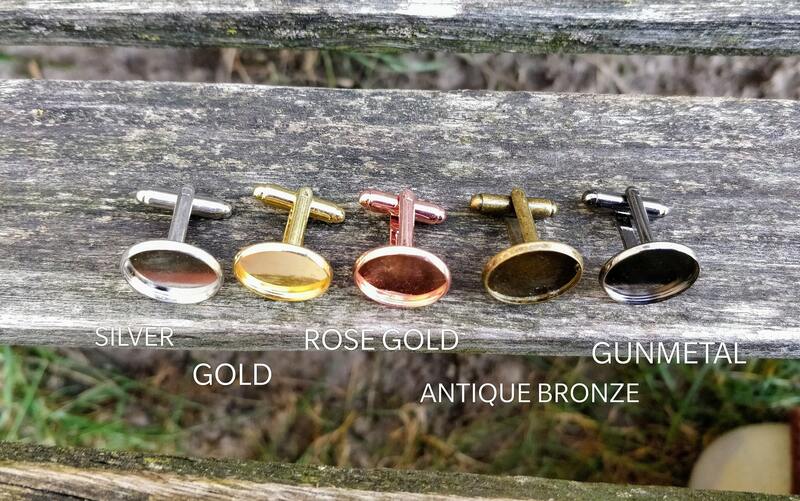 They are set in 20mm cufflinks. 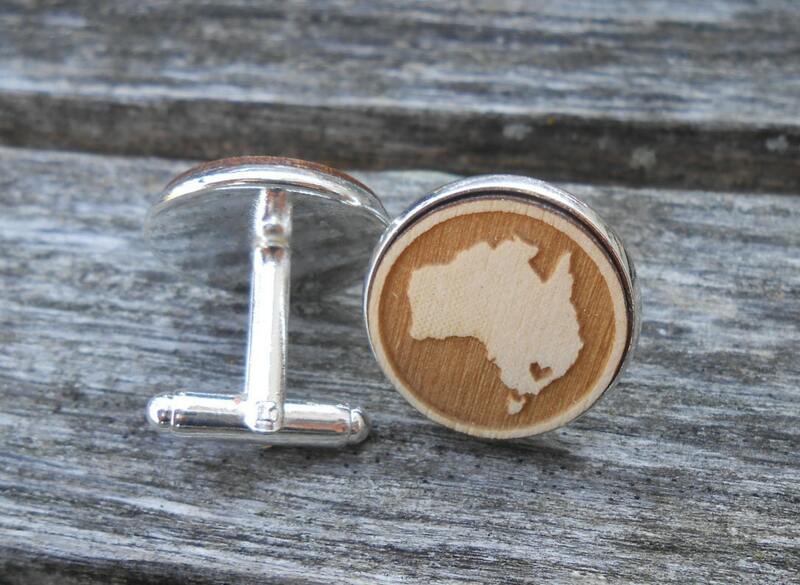 If you want a different city or country, please let me a note at checkout.